One of the best sellers on Odoo Theme Store, Crafito is a HTML5 based multipurpose Odoo ecommerce theme built with bootstrap. It is the most suitable Odoo multipurpose theme for any industry as it comes with a huge collection of custom snippets that gives you control over any part of your Odoo website. 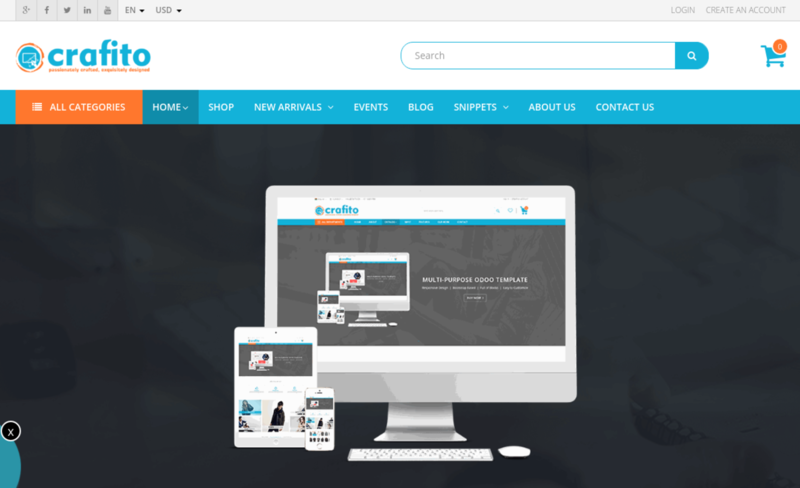 If you have been looking for a responsive, and feature rich Odoo ecommerce store theme for business, your search is sure to get over with Crafito!